The God’s Green Crack Resin, or ‘God’s Green Crack Oil’ product is grown and produced with care outside Nelson, in B.C. The producer finishes the product under vacuum in a Rotovap thereby creating a high quality ‘Phoenix Tear’. The resin is harvested with a frozen alcohol wash which is then filtered by activated charcoal. The solution is finished with care using mild heat and agitation, the RSO method! 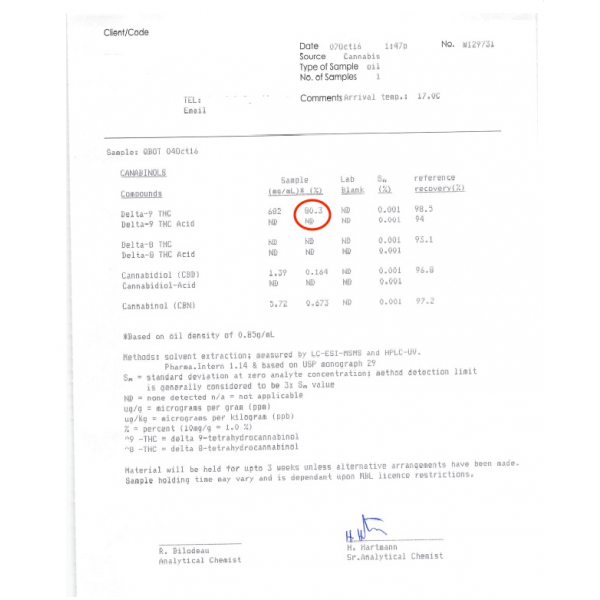 This is a premium RSO oil that has been independently tested at MB labs at 64.3% THC. 3215mg of THC per 5mL cartridge. VIRIDESCO OIL (Phoenix Tears Oil) is a potent concentrate formulated from the drawn-out cannabinoids of the cannabis plant through an extraction method, achieved through skillful purging of the solvent used and cannabis solution. 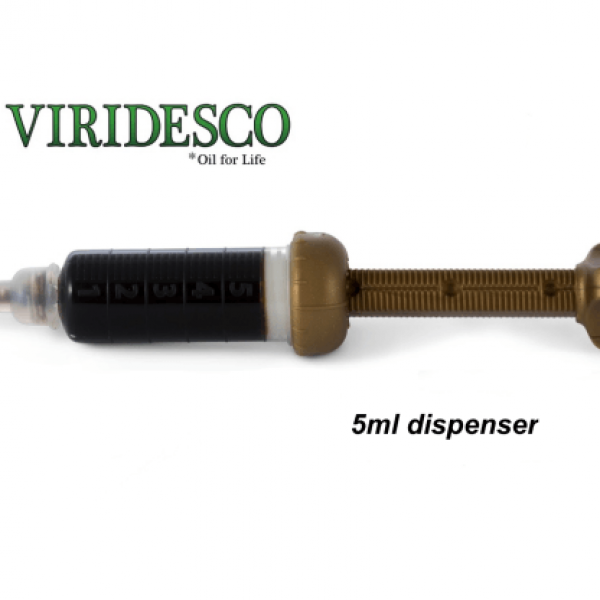 The oil comes packaged and ready for easy-use dosage in The Patron Eos-Dispenser. This dispenser is the world’s first dispenser specifically designed for the viscous resins of Hemp! Accurate to 0.01ml, Patron’s industry defining Patron Dispenser is the most precise on the market, down to the smallest milliliter. 64.3% THC 55% Indica and 45% Sativa The God’s Green Crack Resin, or ‘God’s Green Crack Oil’ product is grown and produced with care outside Nelson, in B.C. The producer finishes the product under vacuum in a Rotovap thereby creating a high quality ‘Phoenix Tear’. The resin is harvested with a frozen alcohol wash which is then filtered by activated charcoal. The solution is finished with care using mild heat and agitation, the RSO method! This is a premium RSO oil that has been independently tested at MB labs at 64.3% THC. 3215mg of THC per 5mL cartridge. VIRIDESCO OIL (Phoenix Tears Oil) is a potent concentrate formulated from the drawn-out cannabinoids of the cannabis plant through an extraction method, achieved through skillful purging of the solvent used and cannabis solution. 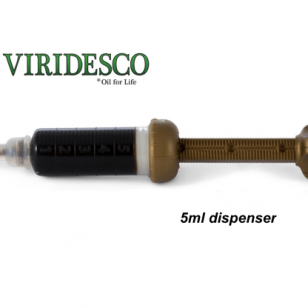 The oil comes packaged and ready for easy-use dosage in The Patron Eos-Dispenser. This dispenser is the world’s first dispenser specifically designed for the viscous resins of Hemp! Accurate to 0.01ml, Patron’s industry defining Patron Dispenser is the most precise on the market, down to the smallest milliliter.